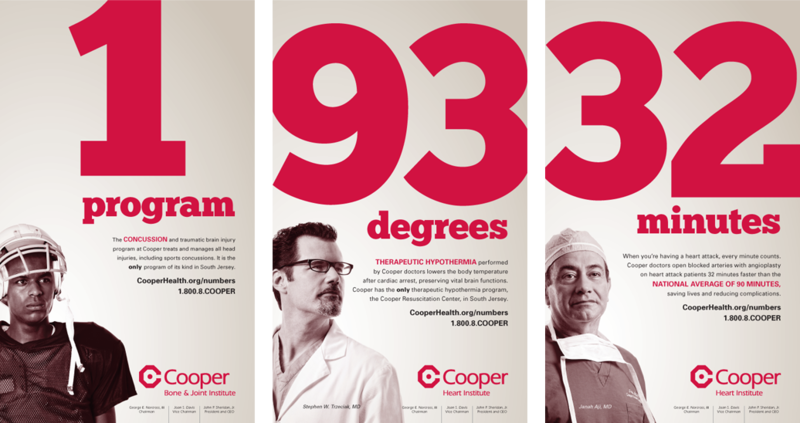 Cooper University Hospital is known throughout New Jersey/Philadelphia as a Level I Trauma Center. 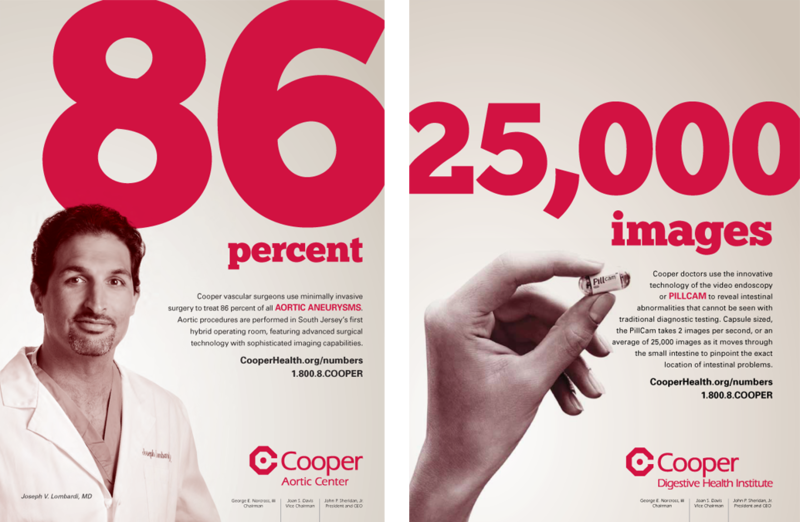 The “Numbers” campaign shows the many other ways they are advancing medicine in South Jersey. The campaign includes print, transit, outdoor, internet, radio and television.